How you hold the guitar is equally as important as how you play the guitar, this is the first beginning step before you even try to play a note. If your posture is wrong then it can impact on your overall playing and learning experience. 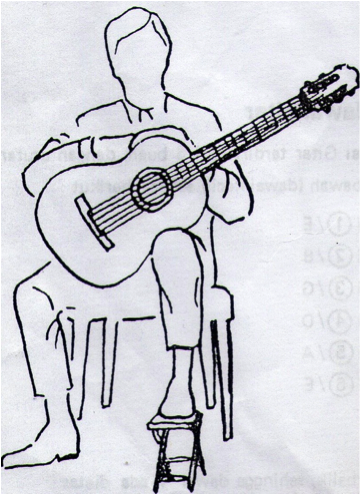 There are two ways to hold the guitar sitting down either over the right leg, which is considered to be the relaxed posture, or over the left leg, which is used mainly by classical guitar players and players who need easier upper fret access. 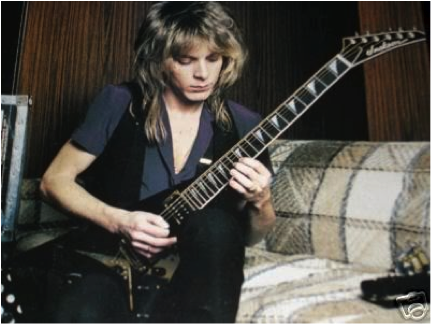 The guy's back is straight and his left arm (the fret hand arm) is at a right angle meaning minimal strain on the wrist when reaching around to press the strings. You can also cross your legs and play using this position i.e bring your right leg over your left and rest the guitar on the right leg. This is more of a classical seating position, as you can see there is a footrest under the left foot elevating his left leg allowing the right hand to come over to play the strings. This position allows for minimal strain on both arms and wrists, it also keeps both shoulders level with each other. 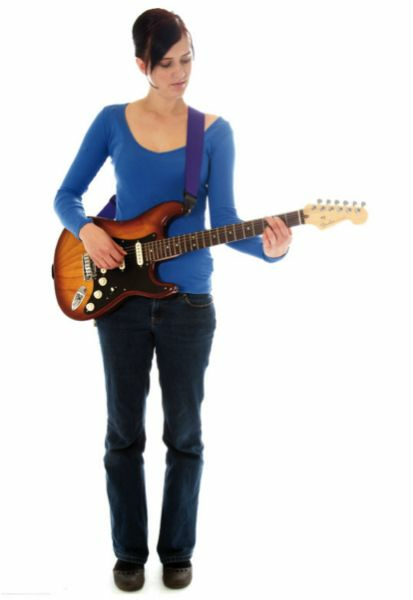 This position can used in any style of guitar playing and is sometimes favoured by fast players who need easy access all over the fret board. Every guitarist has a personal preference as to how high or low to position the guitar when playing standing. It is all down to where feels comfortable for you. 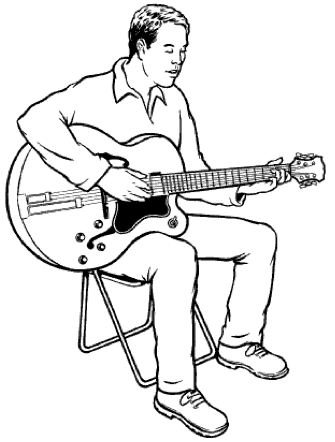 The ideal height will almost match the position of the guitar when sat down. As you can see in the image the lady has both arms bent at right angles meaning there is as little strain put on the wrists as possible. If you are a beginner and have a strap it is a good idea to practise standing up as the experience is very different and if you want to play live show they you will most certainly want to stand and move around. You may also want to put your left leg slightly forward as it will allow you to put more of your weight on the back leg which will allow you a better view of the fret board. 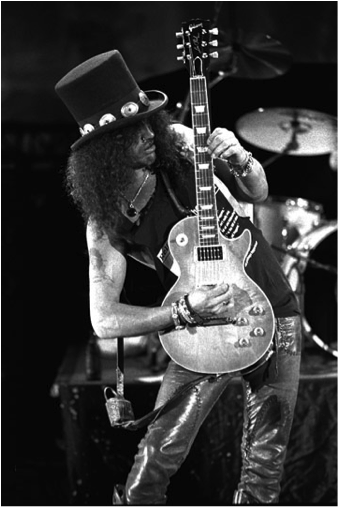 Players such as Slash from Guns and Roses will have a catalogue of standing moves that they will perform. Most of them are not particularly comfortable or practical, however they do look awesome.